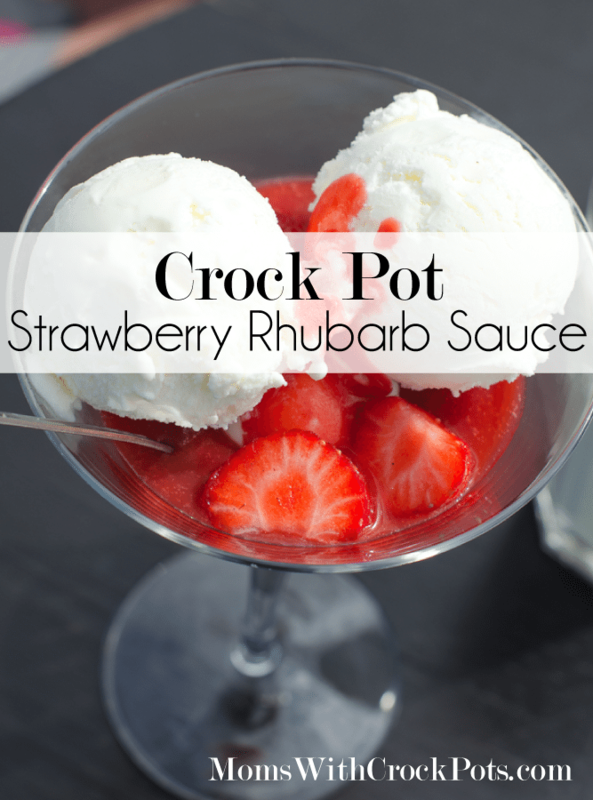 Place the rhubarb, sugar, juice, cinnamon, orange peel, and ginger in a 3 qt slow cooker. Cover and cook on low for 4-5 hours or until the rhubarb is tender. Stir in strawberries cover and cook additional 15 minutes or until heated through. Store unused syrup in the fridge for up to a week.